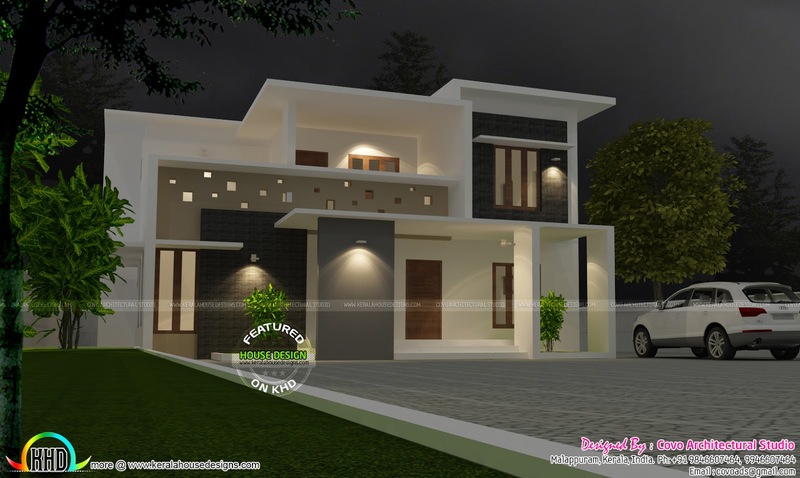 Simple, elegant and beautiful flat roof villa home plan. Total area of this house is 2000 Square Feet (186 Square Meter) (222 Square Yards). Design provided by Covo Architectural Studio, Malappuram, Kerala. 0 comments on "Grand looking flat roof villa home"